Scuba diving and pressure go hand in hand with each other. Scuba diving is all about pressure. There is the air pressure, the water pressure, and the tank pressure. These are all important areas of scuba diving that all divers should know about and be aware of. 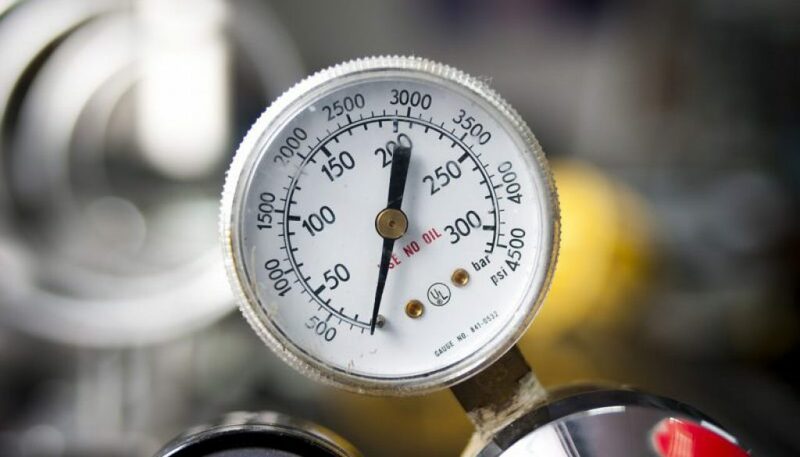 The gauges that are used in scuba diving read what is called gauge pressure which ignores the atmospheric pressure at sea level. So a depth gauge reads 0 at the surface, ignoring the 1 ATA of air still pressing down. Your scuba tank, when empty, actually still has 14.7 psi of air in it but the pressure gauge will read 0, ignoring the atmospheric pressure. When it comes to diving, the deeper you go the greater the pressure becomes because there will be more water on top of you pressing down. What is important to the diver is that the diver experiences pressure from both the air AND the water together, called Absolute pressure. This means at 99 feet the diver’s body and equipment are being compressed in size. The air spaces in the body like the lungs, sinuses, and ear canals get compressed. Even the air is compressed and reduces in size/volume. The amount of volume that air is reduced by the pressure is determined by Boyle’s Law. 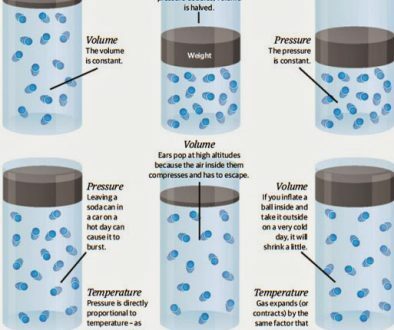 For those of you who are not scientific or into math Boyle’s Law basically says that the deeper you go the smaller the volume of air gets. All you need to do to figure it out is to take the pressure at depth, for example, 2 ATA and make it a fraction, thus 1/2. So the air volume will be half its original size at the surface. At 4 ATA it is 1/4 its original size and so on. Easy! Pressure affects all the air spaces in your body like your lungs, ear canals, sinus, and your body cavities and intestines, even your teeth. There are generally three areas in diving where pressure comes into play. Decompression sickness, also known as “The Bends”, is caused when a diver has been down too long and comes up too fast. As you dive deeper the nitrogen gas in the air is forced into the actual tissues of the body. The longer you stay down the more nitrogen is forced into the tissue. A diver can only allow so much nitrogen to get absorbed into the tissues before they are forced to do decompression stops on the way up to the surface. As long as you come up slowly and allow the nitrogen time to release from the tissues by naturally exhaling, everything will be fine. A good rule of thumb is not to go faster than your smallest bubbles. 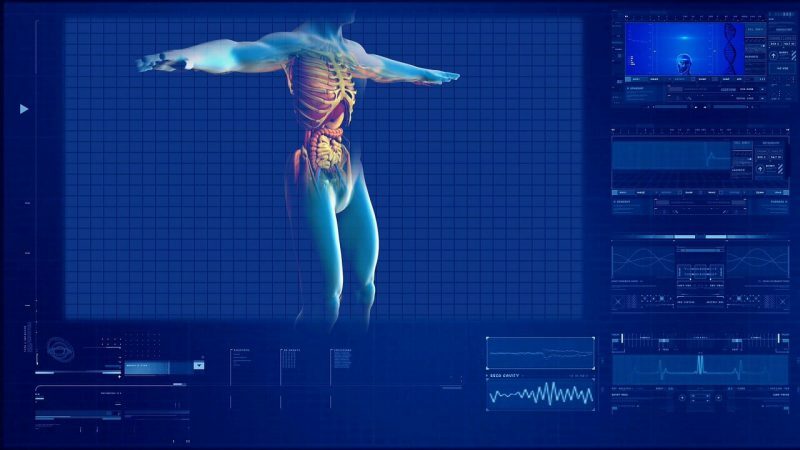 If you come up too fast then the nitrogen will come out of the tissues in the form of air bubbles and get into the bloodstream and joints causing severe pain, stokes, and paralysis. 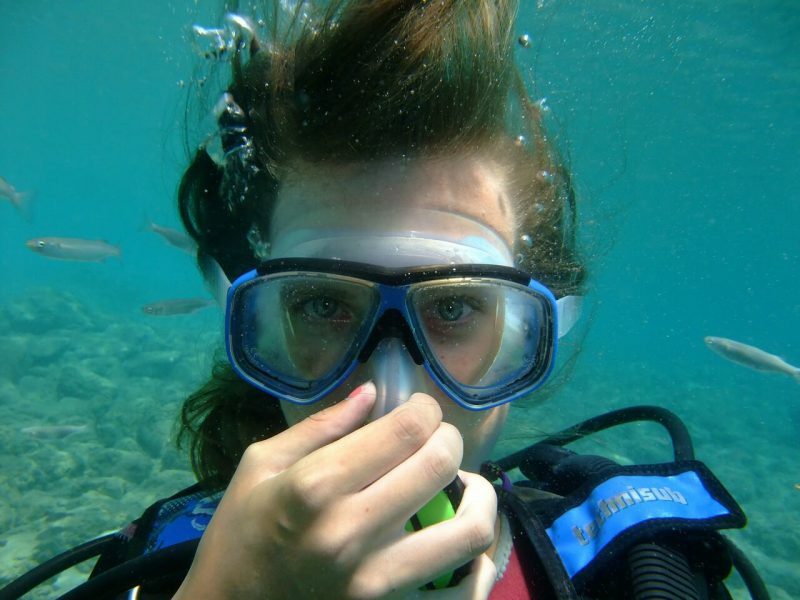 A diver must equalize their ear canals and sinus cavities when descending or ascending. As you dive and descend the pressure will exert a force on your eardrums which causes pain and in extreme cases a ruptured eardrum. You sinuses also get squeezed inside the mask area and can rupture blood vessels in your eyes by something known as mask squeeze. To prevent these from happening a diver must equalize the pressure. To equalize the mask and prevent mask squeeze just gently blow air through your nose into your mask until you feel the pressure equalize. For your ears, you can squeeze your nose shut and gently blow until you feel your eardrum “pop”. You will know when to stop blowing as the pressure becomes more comfortable. You will need to do this many times as you descend. When ascending, excess air in the mask will naturally just bleed out. To get rid of the excess air in your ears just swallow and move your jaw around and the air will bleed out. As you descend, your BCD is squeezed by the increasing pressure making it smaller and less buoyant causing you to descend faster. So you need to add air to it as you descend to control your descent and to achieve neutral buoyancy. The opposite is true when ascending. As you ascend the pressure decreases causing the BCD to expand and become very buoyant. If you do not bleed off the air you will have an uncontrolled ascent which can cause DCS. So on an ascent, you need to release air. The same is true for your lungs. The deeper you dive the more air it takes to fill your lungs and thus using more air. So your bottom time is regulated by how deep you go. 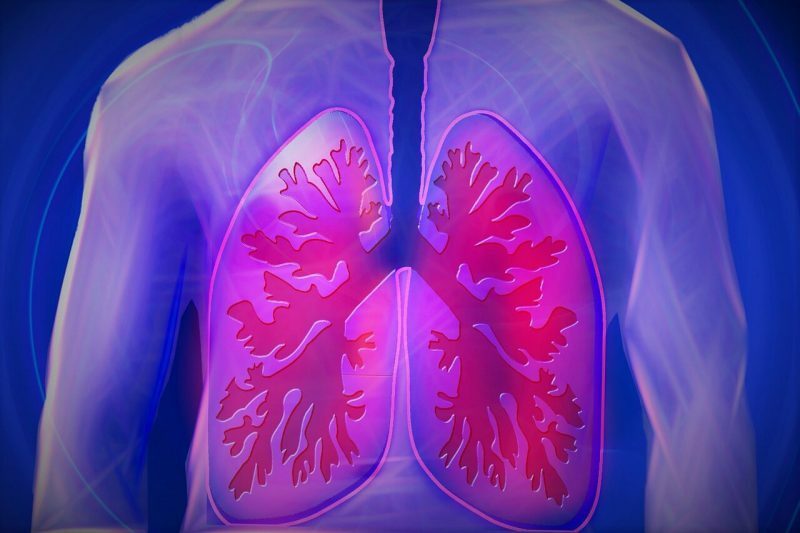 On ascent, if you do not release the extra air in your lungs it will lead to a lung embolism which is why in scuba diving you NEVER hold your breath. 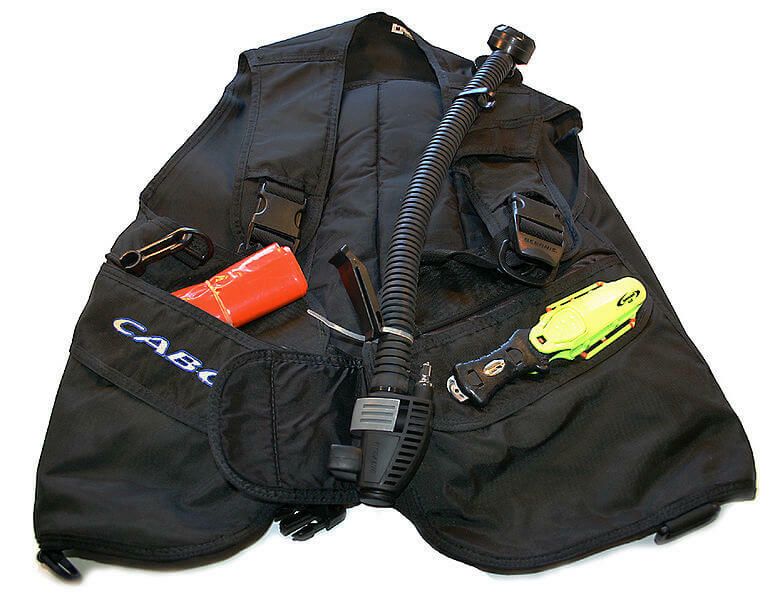 So, even though it seems counter-intuitive, you ADD air to your BCD to descend and you RELEASE air when you ascend. The last 15 feet to the surface is actually where the greatest change in pressure occurs and that is why you should never shoot to the surface in your last few feet. Always control your ascent all the way to the surface, never rising faster than your smallest bubbles. The last few feet should always be taken a little more slowly than the rest of the ascent because of the rapid and extreme pressure changes towards the surface. And that is the basics of scuba diving and pressure. If you have any questions or comments that you would like to leave, please do so below and I will be happy to respond to you. 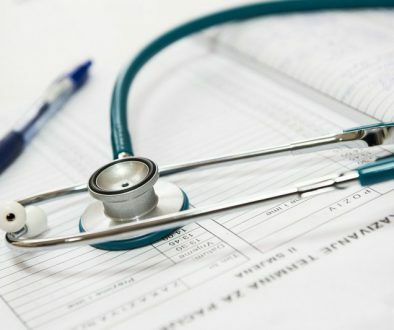 Scuba Diving Health Restrictions – Are you Healthy Enough To Dive? The Bends sound very scary. I never thought Scuba diving could be so dangerous if you are not versed in the pressure of the water and air combined. I have seen a billion movies and seeing actors shoot to the surface and be just fine – I guess those movies could do with this article. This is fascinating and I love how you explained (simply) what happens to the body when it comes to scuba diving pressure, how to equalize that pressure when scuba diving and going slower than your slowest bubbles. I will never forget that rule as I don’t want my HEAD to ‘POP’ when I hit the surface haha. Still, I laugh, but it is scary and I will be taking lessons if I ever go scuba diving. One question though:- IF I was to go scuba diving, does all of these rules still apply if I am less than my height under the water? I mean, I could shoot up fast without injury if something like a shark was chasing me right? Ho Phillip, Yes the movies could use some advice for sure, lol. I am glad u were able to be informed by my article, thanks. As for shooting the surface the last 6 feet if a shark is chasing is fine. Rather deal with a possible eardrum rupture than a shark bite, lol. The last few feet actually has the most drastic pressure change out of the whole ascent, so u have to be careful not to end up with an ear barotrauma happening (ruptured eardrum and the middle ear flooding with water). It is very painful and will give u really bad vertigo too. But as long as you follow your dive instructor or dive master you will be fine. I am sure you will enjoy the experience for sure.